Suffolk County has been awarded a $1.2 million grant by the United States Department of Agriculture Natural Resources Conservation Service (USDA-NRCS). 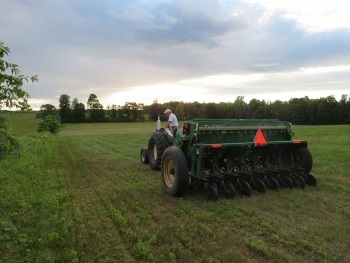 The grant was awarded as part of the Regional Conservation Partnership Program (RCPP) and will provide funding and technical assistance to farmers in Suffolk County. The RCPP grant will enable the Suffolk County Soil and Water Conservation District to hire an agricultural specialist who will be trained and certified in Nutrient Management Planning and Integrated Pest Management Planning. This specialist will advance ongoing efforts among farmers and RCPP partners to test, implement, and monitor the effectiveness of Best Management Practices (BMPs) within the Peconic Estuary watershed. With certified nutrient management and pest management plans, farmers in the Peconic Estuary watershed will be able to access additional NRCS cost-share funding. Ten partner agencies and organizations will collaborate on this project: the Suffolk County Soil and Water Conservation District, USDA-NRCS, Cornell Cooperative Extension of Suffolk County, Suffolk County Department of Economic Development and Planning, Suffolk County Department of Health Services, the Peconic Estuary Program, the Long Island Farm Bureau, United States Geological Survey, American Farmland Trust and NYSDEC. Governor Cuomo announced the availability of $800,000 for the LI South Shore Estuary Reserve Local Assistance Grant Program. Funding through this program is available to municipalities within the LI South Shore Estuary Reserve (Reserve) for grants of up to $50,000. These grants do not require a local match. Grants will be for implementation projects that advance the Reserve’s Comprehensive Management Plan, which includes improving water quality, habitat restoration, public use and enjoyment and community resilience of the Reserve. Complete applications must be submitted by 4:00 p.m. on May 3, 2017. Questions regarding this program are due by April 4, 2017. Questions and answers will be posted on the Grants webpage on March 17 (if received by March 15) and April 11 (if received by April 4). The National Fish and Wildlife Foundation (NFWF) manages the Long Island Sound Futures Fund in partnership with the Long Island Sound Study through the Environmental Protection Agency’s Long Island Sound Office. The Futures Fund invests in community-based projects focused on thriving habitats and wildlife; educating to engage sustainable and resilient communities; and improving water quality by reducing combined sewer overflows, stormwater runoff and nonpoint source nutrient loading into the Long Island Sound. The Nature Conservancy of Long Island received funding from the Futures Fund to construct and publicize the results of the first nitrogen-reducing vegetated wastewater treatment system in an office and residential complex in Cold Spring Harbor. The project will demonstrate an alternative to conventional onsite wastewater treatment (septic systems and cesspools) that: treats wastewater naturally, reduces nitrogen discharges, and safely removes pathogens. Peconic Green Growth also received NFWF funding to design and install a pilot, soil-based wastewater treatment system at the Robert E. Reid Sr. Recreation Center in Shoreham. The system is projected to reduce nitrogen by 85-90% and treat for other contaminants. The project will evaluate the efficacy and management of the system for potential acceptance by Suffolk County as a viable wastewater treatment option with wide applicability. Partners in this project include the Center for Clean Water Technology, the Town of Brookhaven, and Suffolk County Department of Health Services. 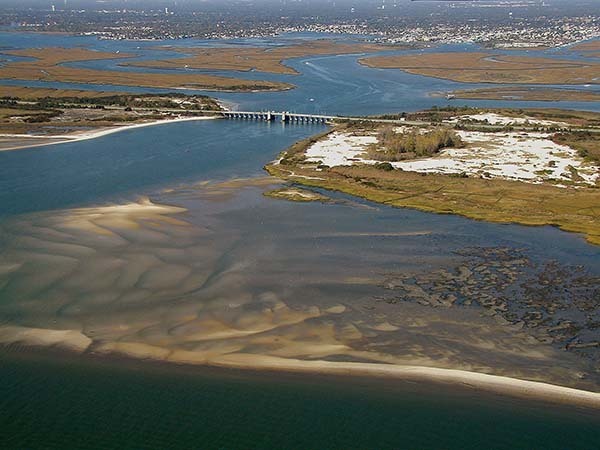 A critical engineering study began this month to examine the feasibility of diverting treated effluent from the County’s Bay Park wastewater treatment plant (WWTP), currently discharged to Reynolds Channel, to its Cedar Creek WWTP ocean outfall. The effluent from the plant would be pumped through an unused pipe located beneath the Sunrise Highway right of way. A preliminary report will be submitted to the County in April and a final report is due this June. Get Pumped LI, a public service campaign to educate and inform homeowners about their wastewater systems, has been launched with a new website. The website serves as an educational tool for homeowners, with accurate information and guidance to keep their onsite wastewater disposal systems (septic systems) functioning reliably, while saving money and protecting Long island’s precious ground and surface water resources. 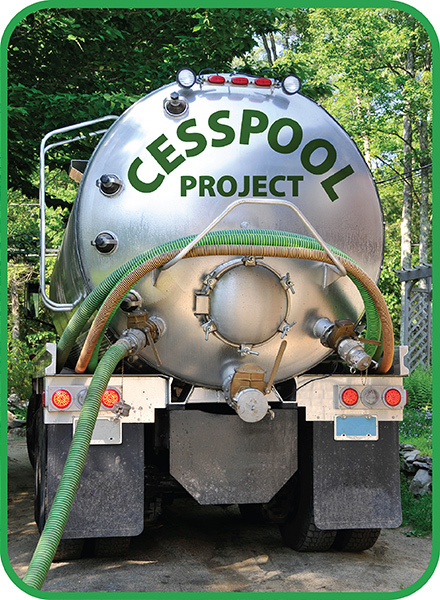 The website was developed for the NYS Department of State with funds provided under Title 11 of the Environmental Protection Fund as part of the program known as Coordinated Environmental Solutions for Septic Problems Occurring On Long Island (C.E.S.S.P.O.O.L.). The C.E.S.S.P.O.O.L. program is a joint effort of the Oyster Bay/Cold Spring Harbor, Manhasset Bay, and Hempstead Harbor Protection Committees, the Town of Oyster Bay and the nonprofit Friends of the Bay.